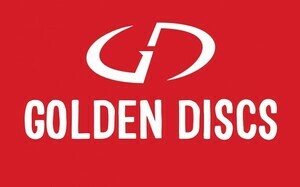 Every week, we give away a voucher worth TWENTY FIVE EUROS to spend at any of the many Golden Discs branches nationwide. This week’s theme: The Beatles solo. What post-Fab effort from John, Paul, George or, possibly, Ringo do you deem built to last and – whisper it – up there with the best of their former band’s catalogue. 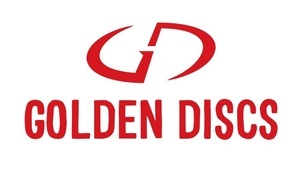 Posted in Misc and tagged Golden Discs at 5:00 pm on October 10, 2018 by Admin. All I’ll say at this point is that whilst ruling Imagine out is (subjectively) a correct choice, I’ll have no truck with anybody dissing the Frog Chorus. Played it at full blast last week (Herself not in, natch) and it sounds AWESOME. A big sweeping overblown orchestral epic, built on 3 and a bit chords. Now, i’m off for a think but it’ll be summat by Macca, won’t it? Or The Wilburys. Don’t know about best but this is my favourite…. my grandad gave it to me. i gave it to a girl in my school who i was trying to woo. Did you get the shift? If not you should track her down and ask for it back. Funnily enough I bought the same thing last week for €4. My Sweet Lord by George Harrison because of the way the song builds with each instrument joining makes for great listening. Also it is a very singable song. The finest post-Beatles song by Beatle a is Mind Games by John Lennon because it would have been his birthday yesterday. Live And Let Die. For its time it was very ambitious. It’s got that epic classical element, the Bond drama and lyrically it’s The Beatles all rolled into one. It’ll stand the rest of time as a rock classic. The finest post-Beatles song by a Beatle is Wah Wah, by George Harrison because its what they would have made if they didn’t split up. whatever about singles/songs, it’s hard to argue against All Things Must Pass being one of the best post Fabs albums. Obvs (peers down) it’s no Wilburys Vol 1, but you can’t have *everything*…. The finest post-Beatles song by a Beatle is New by Paul McCartney because he has managed to capture joy in it’s purest form. exactly how hairy is your back, j? The finest post-Beatles song by a Beatle is Handle With Care written by Harrison, and primary vocals for the track, with The Travelling Wilburys because it introduced a host of amazing artists in one of the, if not the greatest super-group to a new generation. Opening track to my favourite albums from the 80’s and the first I bought for myself, I think with my communion money. A whole lotta precious communion money? I love the Wilburys. My favourite supergroup. The finest post-Beatles song by a Beatle is Maybe I’m Amazed (live version) by Paul McCartney because it’s a great love song with a great guitar solo, simple as that. Ok. The Beatles. Now we’re talking. So George had some proper rippers. For me my favourite is What Is Life. Ringo even gave it a shot. The most popular Beatle amongst the Beatles. George helped him write Photograph. Remember the line he sang “All I’ve got is a photograph and I’ve realised you’re not coming back anymore.” At a Concert for George? Jaysus not a dry eye in the Kloot house when that’s played. John was prolific. My favourite John song is Working Class Hero. But I was always a Paul guy. The melodies and the layers. They just do something to me. Big and bombastic and fun like Band on the Run. But not my personal favourite. The finest post-Beatles song by a Beatle is “Band on the Run” by McCartney & Wings because it sounds like two different songs running into each other and the entire structure is unorthodox a little like the Beatles classic “A Day in the Life”, and it’s great. Great choice but I’d argue that it sounds like three distinct songs. Yeah, you could deffo argue that. It’s just that when I first heard it and taped it off the radio, I did genuinely think it was two songs, with “Well the rain exploded” being the second song. It’s the way it fades in without a proper transition, yet it works so well as a transition. he finest post-Beatles song by a beatle is ‘jet’ by mccartney because it shows how his genius mind works. it’s a song inspired by a puppy born of his mad, dirty stop-out of a labrador and feelings of being intimidated by his father-in-law for the first time. and it’s catchy as hell. Bit of a minority report but The finest post-Beatles song by a Beatle is C Moon, by Paul and Wings (B side of Hi Hi Hi) because it seems so simple and yet transports you above the clouds in an instant, and you’re not even sure why. The finest post-Beatles song by a Beatle is Wah Wah by George Harrison, because it sounds as fresh as the day it was first recorded and should have been on Abbey Road. Bertie-here is the track list for that infamous missing “Black” album,complied by Ethan Hawke in Boyhood. The finest post-Beatles song by a Beatle is Macca’s The Back Seat of my Car because for me, it could’ve sat on Abbey Road and nobody would turn a hair. It’s pedestrian enough really for the first 3 minutes, if you can call that achingly lovely melody ‘pedestrian’ but it’s at around the 3 minute mark where the repeated ‘We believe that we can’t be wrong’ gets repeated that it really starts to cook. First there’s a key change, a slowdown of tempo, a wee drum fill and then fuppin’ hell does he cuts loose with the kind of screech that ten years earlier was puttin’ manners on lairy sailors in Hamburg. Meanwhile, underneath the yowling there’s an orchestral motif/descending baseline thing that I’m pretty sure Guns’n’Roses had their eye on when they were winding down November Rain, which falls into a false ending, it all goes a bit mad for twenty seconds and all you can think is ‘Jaysus’. If the song stopped before any of that McGubbins kicked off, it’d *still* be better than 75% of John’s solo output; the fact that it doesn’t and instead he just spends the last minute and a half simply showing off (because he’s Macca) in the way he does is mesmerising and sickening in equal measure. Probably rather like the man himself. I don’t mind Band On the Run and even Mull of Kintyre now after a difficult time with it, but Jet is rubbish – sorry to whoever picked that. I can even tolerate Ebony and Ivory, rage probably tempered by sentimentality at the nature of Jacko’s untimely demise. The finest (ahem), post-Beatles song by a Beatle is “Mull of Kintyre” by Paul McCartney because I love singing along to it and the video is of a simpler time. 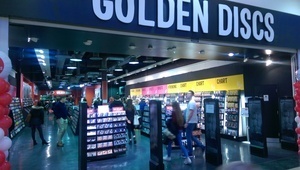 Give Ireland back to the Irish by Wings, I have always just loved the fact that it existed. I was quite young when I first heard about it and it was the first time I ever came across anyone from outside Ireland expressing nationalist sentiments. Apparently Lennon was so angered by Bloody Sunday in 1972 that he once met with a leading member of the Provos in New York and offered to do a fundraiser for the Republican cause! Some great raw John Lennon tunes on the Plastic Ono Band album, Mother, God or Love are amazing. Always loved that ‘Nobody Told Me’ song that was released around the time of his death.. Flowing successfully from my response to Ivan above I’m gonna give it another go and actually answer the question asked: what post Beatles song would actually fit on one of their records? In fairness any of Lennon’s rock and roll album would for a start. Maybe Bertie or Ivan can remind us the name of it? But for a fully fledged solo piece that would fit on a Beatles album, for me it would be Instant Karma. 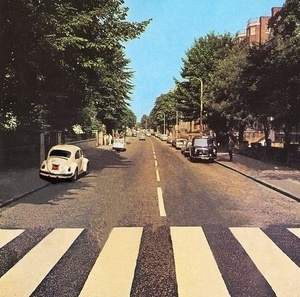 Ringo’s Photograph that DeKloot mentions would fit on anything from White album onwards (and would’ve been better than Octupus’ Garden or Don’t Pass Me By) and of course most of the All Things Must Pass album could’ve been on White/Let it Be/Abbey Road ‘cept John/Paul/Egos. This 2017 re-edit of Lennon’s “How do you sleep?”cuts a serious groove too! Is this restricted to Beatles alive or croaked too (sorry)? The finest post-Beatles song by a Beatle is Sir Paul McCartney & Wings with “Give Ireland Back To The Irish” because it would solve the Brexit PITA. Second attempt: Finest song by a post-Beatles Beatle is George Harrison’s “My Sweet Lord” because of that Phil Spector produced wall of sound blended harmomic, chant-like chorus of the Hari Krishna and Christian dieties and because the song’s power reached the inner mind to the extent thatHarrison was found to have subconsciously plagiarised “He’s So Fine”, a 1963 hit for the New York girl group the Chiffons. Great introduction to Mr H’s slide guitar technique too. Is no one going to point out that if you play Maybe Im Amazed backwards you get a cracking recipe for lentil soup? Third entry: Live and Let Die by Sir Macca with Wings was – admit it – pretty good as a Bond theme. The finest post-Beatles song by a Beatle is Imagine by John Lennon because like all the best songs it has a simple memorable melody and the lyrics are even more relevant now than when they were written half a century ago. Nothing really encapsulates the Yoko Ono era and her influence – mostly for good in my opinion like the stunning crescendo to “Yes is the answer” in that song.